What Can Prayer Do in the Face of So Much Pain? "What have we begun, when we pray like this? What have we done? Can we ever know – what seeds we sow, what lights we show, what dreams we throw?" How does one pray for the homeless? What can prayer accomplish for someone who has no resources, who has burned all relational bridges? 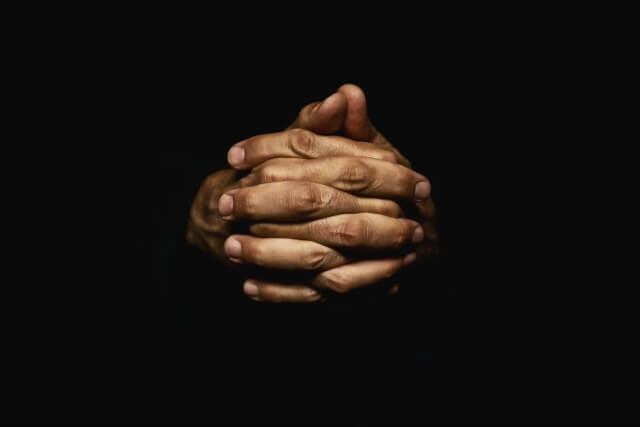 What will prayer achieve for the addict, the recently-released convict, the prostitute? Are God’s ears really open to serial sinners? Does He hear the prayers of people who have no connection to Him? 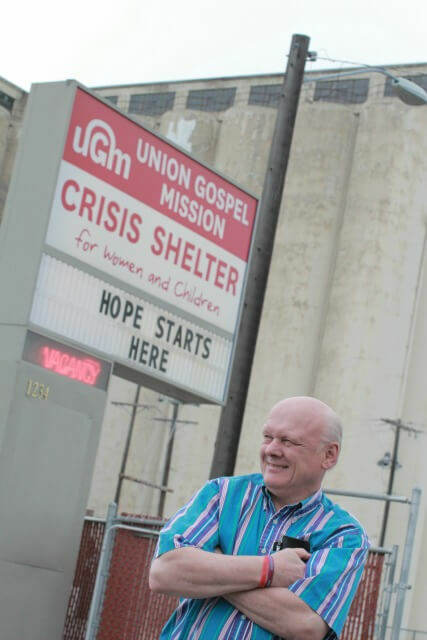 One of the greatest privileges I enjoy as a volunteer at the UGM Crisis Shelter for Women and Children is the opportunity to pray. Since I began volunteering in 2008, I have prayed with hundreds of women. On a few occasions, I have moved from one person to the next, praying nearly non-stop for my entire 5-hour shift! When needs are so tangible – these women need housing, employment, childcare, legal advice, bus passes, cell phones – is it wise to spend time on something so wispy as prayer? I believe so. In Isaiah 55:11, we are told that God’s word, once uttered, “will accomplish what I (God) desire and achieve the purpose for which I sent it.” So prayer is a tool which we can use to open doors to not just God’s plan and purpose, but also to meet tangible needs. And sometimes, the results are very tangible. On several occasions, women return to the shelter for second and third stays. Frequently, they have approached me and said, “You were here the last time I was here. You prayed for me.” Regretfully, I often do not recall the name, the face or the prayer. Other times, I cannot forget. Their names and faces are cemented in my soul, they get inscribed onto my prayer wall, and I pray for them daily. I find myself turning in nearly every prayer to 1 John 1:9, a familiar verse: “If we confess our sins, he is faithful and just and will forgive us our sins and purify us from all unrighteousness.” Why is this verse so significant? Psalm 66:18 tells us that God will not hear our prayers if we have wickedness in our hearts. And in Matthew 6:15, Jesus says that if we do not forgive others their sins, then our Father will not forgive us our sins. So, confession of sin can be the password that opens the file where God records our prayers. But I find as much, if not more, power in 1 John 1:9 in the last half of the verse: “…and [will] purify us from all unrighteousness.” I believe this cleansing and the forgiveness of our sins are both promises from God. Why is purification so important? Our souls and our bodies absorb unrighteousness. I believe God designed us this way so we could recognize physical danger and choose to fight or flee. But we also absorb and remember emotional hazards like rejection and abandonment. It is quite likely, science tells us, that a child’s brain is significantly altered when he or she is exposed to chronic trauma, which can inhibit functions like impulse control, leading to poor academic performance and susceptibility to addiction. Unrighteousness that is absorbed and retained within us can become toxic and manifest as cancer, depression, anxiety, suicidal thoughts, Crohn’s disease, fibro myalgia and a host of other physical ailments. In his book, The Cure, Pastor John Lynch says our bodies are not designed to deal with sin. We are not wired to commit sin or to receive sin. Unrighteousness – our own or what we endure or even simply witness – is sandpaper to our souls. I believe this friction is because we are citizens of heaven (Phil. 3:20); we are not of this world. Can you grasp the incredible restoration that could be realized if people could be cleansed of unrighteousness? Could a prayer that declares God’s word is true and that, in faith, stands on His promises deliver these shattered women from years of abuse and self-destruction? In nearly every case, something tangible is experienced. Many report a sensation of feeling lighter, of a huge weight coming off and waves of peace and relaxation flowing through them. Many simply say, “I feel so good. I can’t remember when I last felt like this.” In cases of chronic pain like migraines, the pain often disappears completely or is greatly reduced, even without praying for a specific ailment. I prayed this prayer for the woman I noted earlier, the repeat guest. She felt great relief when she confessed her sins and asked God to cleanse her of her shame. Today, she is successfully moving through the phases at Anna Ogden Hall (the UGM long-term recovery program) and has regained custody of her children. She is being purified, I believe, of all her unrighteousness. Yes, the homeless need tangible benefits like housing, employment, bus fare, a cell phone. But their greatest need is the hope that leads to salvation. My prayer is that God continues to enable me to speak life into the souls of these women. That He reveal to me the words – or even the silence – that can lead to purification, that will remove the weight of unrighteousness that shackles their hearts and their futures. No matter their pasts, what they've done, or what's been done to them, women and children deserve a safe, dignifying place to go. 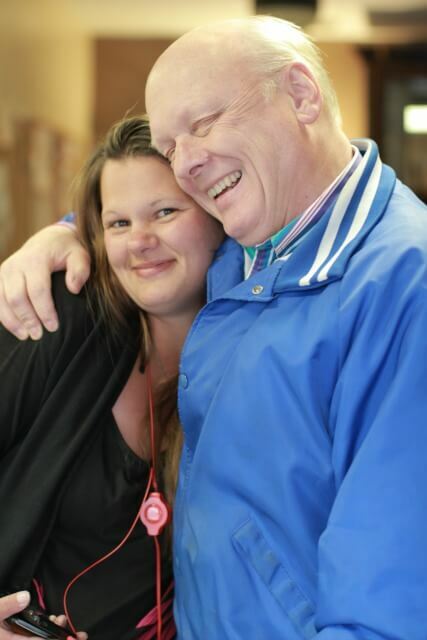 If you'd like to know more about volunteering at the Crisis Shelter or one of our facilities, click on the link below.